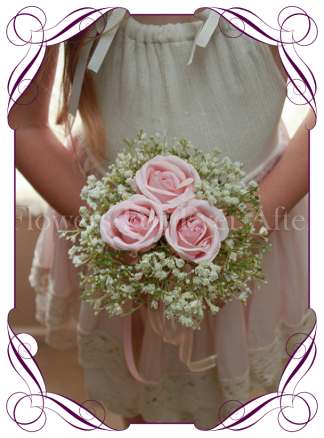 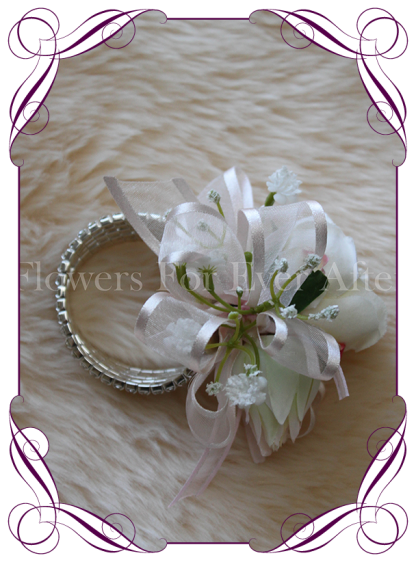 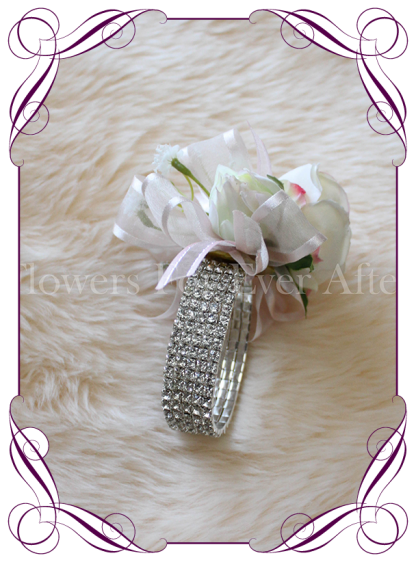 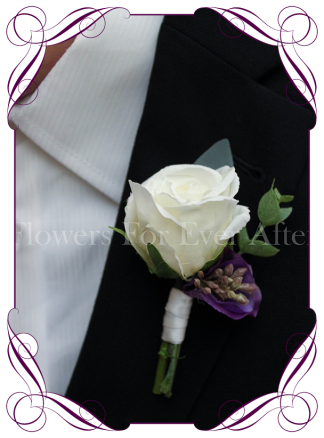 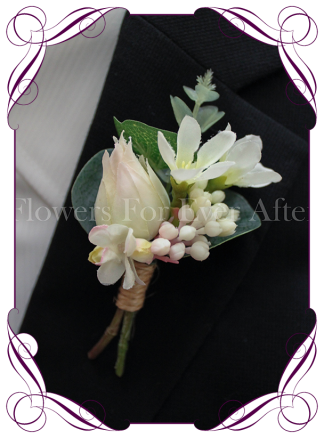 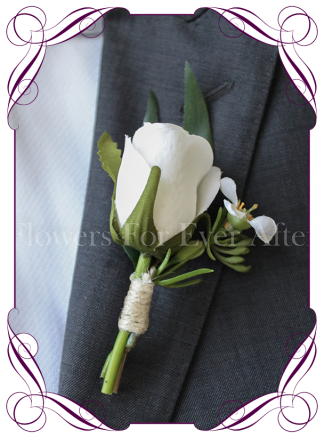 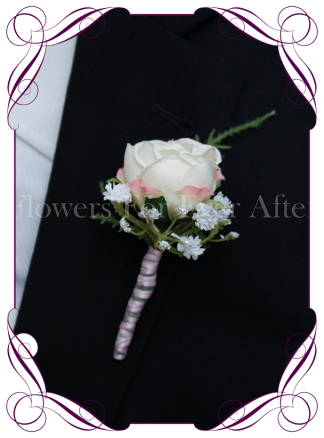 An elegant ladies wrist corsage in ultra soft colour tones for weddings, formals or prom. 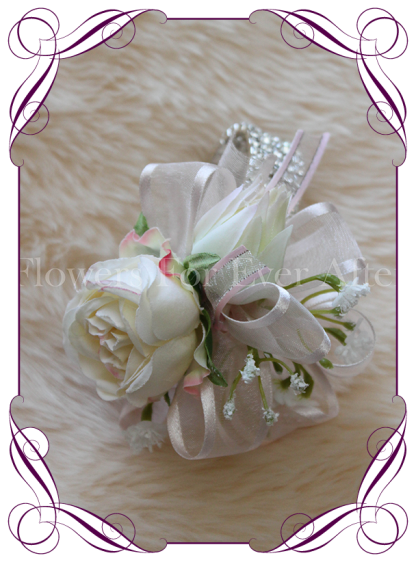 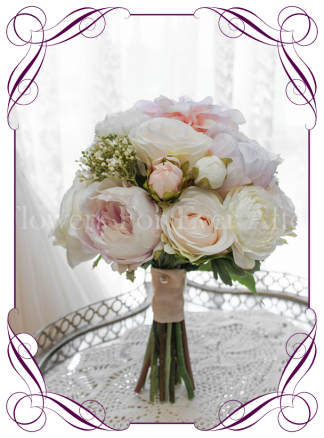 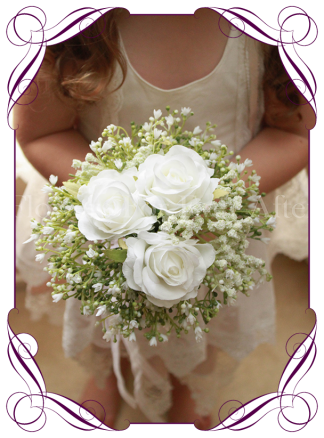 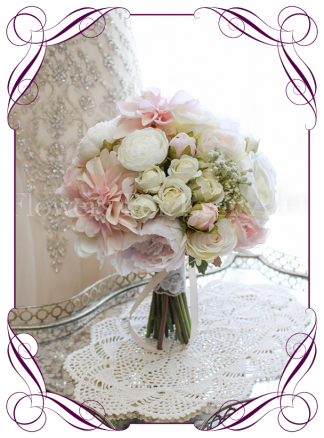 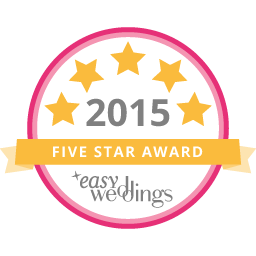 Features a cream with pink edge button rose bud, ivory blushing protea bud, baby’s breath, and very light blush satin edged organza ribbon. Bracelet options are available in the drop menu below.